Skittles Lip Smackers. Bring on the fruit! The 10-year-old kid in me is all over these holiday Skittles Lip Smackers. When I was young my mom always got me the huge Bonne Belle Lip Gloss in my stocking and I loved it so I try to load up my kids stocking with something similar. Lip Smackers are Made in the USA and the Skittles variety smells amazing. It’s like having fruit in your pocket, or in this case a cute holiday tin that you can use after the lip gloss is gone. You get 4 lip balms in this set in Grape, Lemon, Green Apple and Strawberry. The Lip Smacker Brand always leaves my lips so smooth and tasty and I think these are great for people of all ages. They are nostalgic and cute and I just love them. They also had a tin of the Coca-Cola flavors which I may have to go back and get! This set came from Target and was $5.99. The Lip Smackers are a total retro blast from my past. Back in the 1980’s I remember having the huge Strawberry Bonne Bell lip gloss in my pocket at school, I can still smell it. Everyone had one back then! First a little history…Bonne Bell launched Lip Smackers in 1973 and being from Ohio I remember the rich history of their Lakewood , Ohio HQ. In 2007 the company oddly moved to Australia but came back in 2009. Then in 2015 Bonne Bell and Lip Smackers brands was acquired by Markwins International who also own owns Wet ‘N’ Wild and Physicians Formula. It’s crazy how the beauty industry in intertwined. Anyway my kid LOVES the Coca-Cola Lip Smacker flavors so I decided to give them a try. 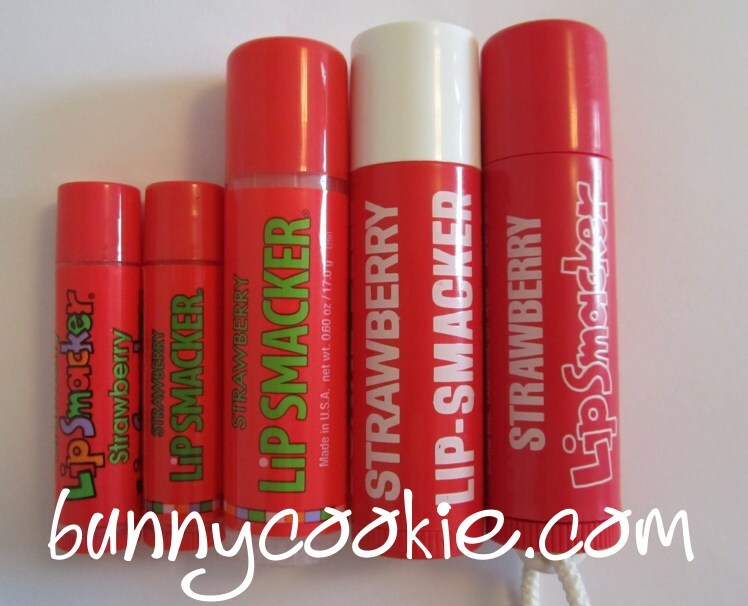 These Made in the USA Lip Smackers are basically castor seed oil and beeswax with some cool flavors. I like the formula which is a little bit softer than Chap Stick but it’s the flavors that a so awesome. They are completely true to the soda flavors and my favorites are Barq’s Rootbeer, Fanta Grape and Cherry Coca-Cola. I like to use these if I’m home or walking outside when the weather turns cold. They are excellent and protecting my lips and I love getting a little flavor. I got this 8 pack from Target for about $8.99 and I had a $1 off coupon. This set should keep our lips moist well into Fall.